Musical and vocal stylings of Phil Baker at the baby grand piano. Phil and his brother were the inspiration for the movie "The Fabulous Baker Boys." Italian specialties as well as a full range of International Cuisines. Chef La Forte has catered to many International celebrities and is nationally acclaimed for his innovative cuisine. Private dining rooms from 45-200 including a poolside chapel and Gazebo for special events, weddings etc. The 2012 winner of the"Best of Las Vegas" Italian Restaurant! Specializing in classic as well as contemporary Italian Cuisine. Elegant dining at affordable prices make us an easy decision to make when thinking about reservations. Each of our menu items are finished to order and forget about steam tables keeping food hot for hours and hours. Only fresh herbs, imported tomatoes and olive oil are used to finish each dish. Our kitchen staff has worked as a unit for over twenty years guaranteeing the consistency required for repeat dining experiences. Only prime grade meats and poultry are used and we even make our own desserts. Join the locals for our Wednesday Wine madness. Every bottle of wine on our extensive list is half price every Wednesday. Dine amidst the elegance of opulent chandeliers and cherry wood panels complimented with tasteful murals and exquisite art works. Tuesday – Sunday 4:30 pm – 10:00 pm. All split Items will be charged $5. A bounty of fresh Pacific Mussels steamed with tender fresh clams in a tomato and white wine brodo, rich with fresh basil and toasted garlic. Fresh artichokes stuffed with a savory blend of herbs, Parmesan, and extra virgin olive oil. Served with roasted garlic mayonnaise. Jumbo chilled prawns served on Baby greens with our own spicy cocktail sauce. Baby calamari lightly crisped and served with a spicy tomato sauce and a roasted garlic Remoulade. Slices of housemade Tuscan style bread charbroiled and topped with a blend of sweet Roma tomatoes, scallions, basil, and virgin olive oil. Large prawns sautéed with fresh tomato and basil in a delicate lemon butter sauce. Fresh escarole and Italian beans sautéed with Pancetta, slivered garlic and extra virgin olive oil. Fire-roasted sweet peppers glazed with pan-roasted garlic and olive oil. Salvatore's homemade Mascarpone Torta layered with toasted pine nuts, pesto and Mozzarella. Served with charbroiled garlic toasts. Cheese crusted slices of eggplant filled with ricotta and mascarpone cheese. Topped with Pomodoro sauce. Served with a small house salad and choice of dressing. A bounty of fresh clams, mussels, shrimp, scallops and calamari. Simmered in a rich tomato-garlic brodo. Served over linguini. Vine-ripened tomatoes simmered with toasted garlic, basil and olive oil. Finished with freshly made sausage, tossed with tube pasta. Tender pasta pillows filled with shrimp and crabmeat with scallions and mascarpone. Served on a light Shrimp and Vodka cream. Fresh sweet baby clams in an herbal brodo. Served red or white over a bed of thin, flat pasta. A classic from Nonna's kitchen served with our freshly made Pomodoro sauce and homemade sausage or meatballs. Angel hair blessed with fresh Roma tomatoes, slivered basil, pan-seared garlic, virgin olive oil. Topped with aged Parmesan. Light potato and cheese dumplings. Served in a pink-vodka cream topped with aged Parmesan. A classic fettuccini Alfredo with cream and aged Parmesan. Topped with Charbroiled prawns or chicken. 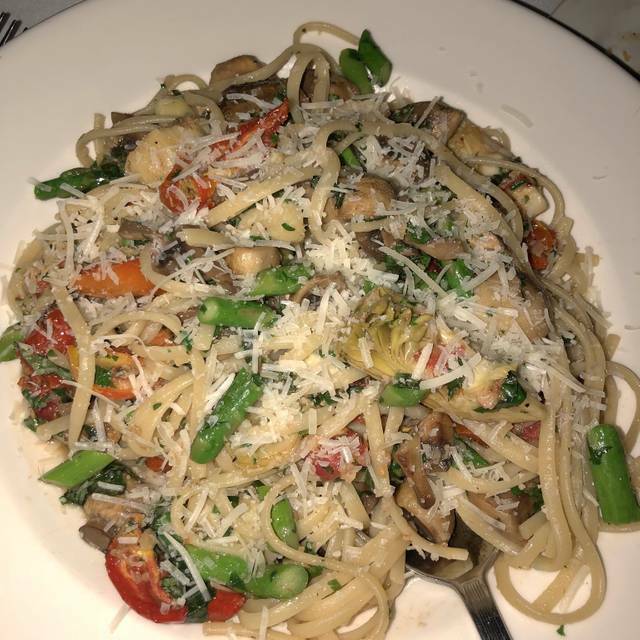 Ribbons of pasta tossed with roasted tomatoes, asparagus, portobellos and artichokes. Simmered with toasted garlic and extra virgin olive oil. Tender pasta pillows filled with a blend of four cheeses draped in our famous Pomodoro sauce. A regal offering of plump shrimp, olives and bits of fresh Roma tomatoes tossed with ribbons of fresh pasta in a light lemon butter sauce. Plump shrimp sautéed to a tender finish in a Carnaroli risotto finished with fresh tomatoes and basil. 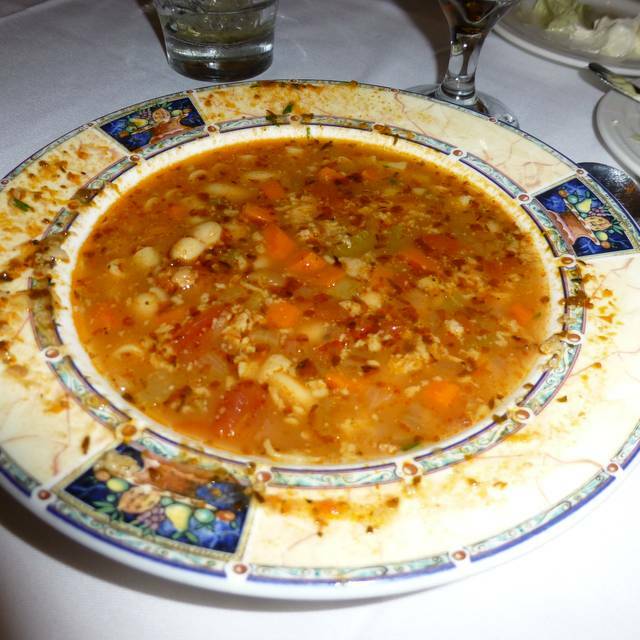 A classic presentation of an Italian favorite. Italian white beans, pancetta, and fresh thyme simmered with garden fresh vegetables and pasta. A rich chicken broth with baby spinach, tiny meatballs and fresh egg drops. Creamy lobster bisque served with chunks of lobster and a hint of brandy. An International Favorite! Salvatore's twist on a traditional favorite. Our version of the classic with crisp young Romaine and croutons, served in a Parmesan bowl with our own dressing. Generous slices of fresh mozzarella and vine ripened sweet tomato. Served with fresh basil and virgin olive oil. Baby spinach leaves with pancetta and crispy shallots. Baby field greens tossed with your choice of house made dressings, garnished with fresh Roma tomato. Served with red onion, a balsamic vinaigrette and crumbled bleu cheese. A boneless breast of chicken sautéed in a light egg batter finished with a sherry and lemon sauce. Tender boneless breast of chicken stuffed with prosciutto, baby spinach, and mozzarella. Topped with a Marsala-mushroom sauce. Boneless breast of chicken coated with a seasoned crumb crust topped with mozzarella and our famous pomodoro. The Chef's Favorite - Breast of chicken, lightly seasoned breadcrumbs, grilled eggplant, and a light lemon and caper sauce. Tender fillet of sole sautéed crisp with a seasoned Parmesan crust draped with a rosemary-caper sauce. Served with angel hair pasta "Alla Checca". Fresh wild salmon grilled to a moist finish. Served with a mustard dill sauce and your choice of angel hair pasta or potato. Baby lamb rack cooked to perfection with a rosemary-mint glaze. A prime grade angus beef grilled to your preference. Served with choice of potato. Slices of milk-fed veal coated with a seasoned crumb crust topped with mozzarella and our famous pomodoro. Slices of veal sautéed in a light egg batter topped with grilled prawns and a light sherry and lemon sauce. Slices of milk-fed veal sautéed with fresh mushrooms, Marsala wine and natural veal essence. Sautéed chicken or veal with capers and garlic in a delicate lemon butter sauce. A center cut veal chop with a seasoned crumb crust topped with fresh mozzarella and a tomato basil salsa. A duet of petite filet mignon draped with Béarnaise and King crab legs. Add lobster tail for market price. Broiled to a succulent finish with drawn butter and asparagus. A prime cut grilled to your preference. Served with your choice of potato. A plump pork chop grilled to your preference over sautéed escarole and Italian white beans. *Thoroughly Cooking Food of Animal Origin, Including Beef, Fish, Lamb, Milk, Poultry or Shell Stock Reduces the Risk of Food Borne Illness. Young Children, the Elderly, and Individuals with Certain Health Conditions May Be At a Higher Risk If These Foods Are Consumed Raw or under Cooked. First time visitor and we loved it. We went with some local friends and had a great evening of conversation and food. Everyone had something different and each said their meal was great. Service was excellent and the prices were in line with the competition. We plan to return there on our next trip. 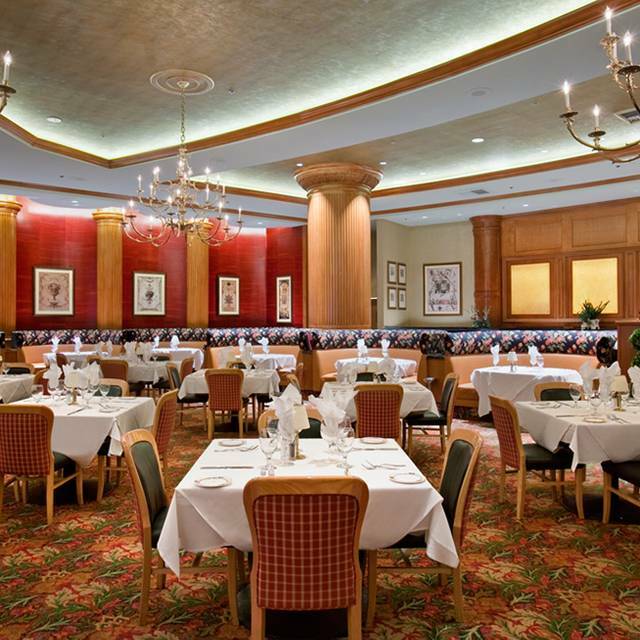 Salvatore's is a great destination for fine dining, great entertainment, and fun. Cindy the bartender is the best. Always a good time had by all! To begin, we apparently interrupted a clash between a waiter and the hostess at the front hostess desk. We stood at the front desk waiting to be acknowledged or greeted by either of these two. After about a half minute the hostess asked if we had a reservation- which we did and I gave her our name. She never greeted us but took us to a table. 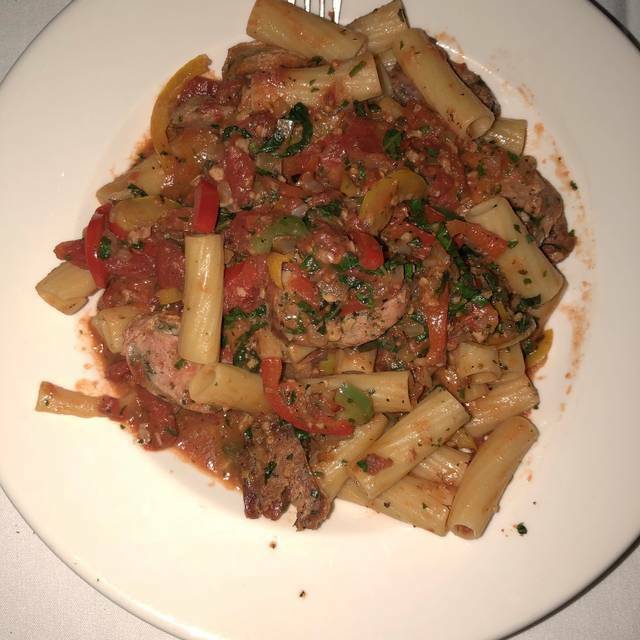 We occasionally eat at Salvatore's Ristorante and are never disappointed. the piano with the songs is a nice touch. we will be back in the near future. The food is delicious. The atmosphere is warm and welcoming with piano music in the background. Great restaurant....loved the food....had a seafood pasta dinner which came with a house salad....would have been better if they had a small Caesar salad with it...but food was good. A hidden gem. One of the best Italian restaurants in LV. Food is great. Waiter disappears at times. Ge asked us if we all wanted another glass of wine after we're finished?! We invited friends to go see Phil Baker and friends perform. That part was great. Two guests felt their spaghetti was mediocre. The rest of us enjoyed our food. Our server was good but the busboy was horrific. He reached across our faces, bumped us, grabbed plates we hadn't finished, and was just plain rude. The service, the setting, the fantastic music by Mr. Baker. I thought Tony Bennet was in the house. Above all, the food was mouthwatering delicious. Can't wait to come back with our friends. Overall this restaurant is excellent and we’ve eaten there many times. 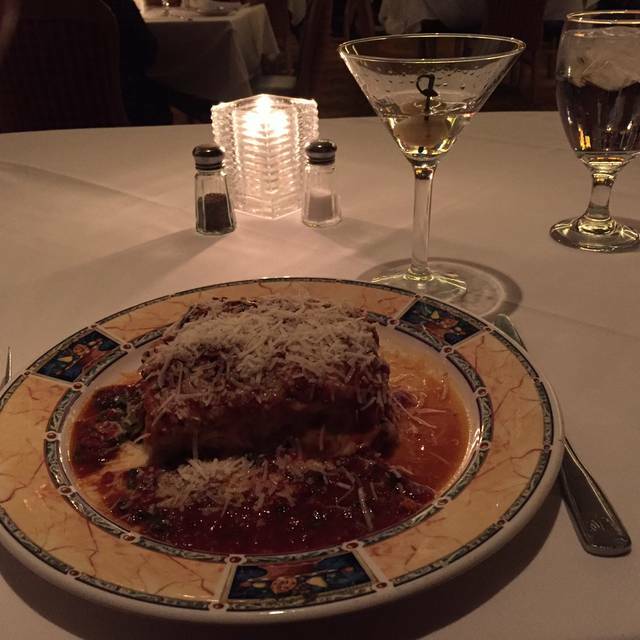 My favorite is the lasagna; however, in my opinion, the lasagna pasta is too thin and over cooked. That is why I give the food a 4 star rating over a 5. Not as good as previous dinners there. Bread selection was minimal, never replenished. Still a nice place with good food. Prompt seating in quiet corner met what we wanted for the evening dinner. Enjoyed ambience and food was delicious. Go back again. always a pleasure, the piano playing in the background is relaxing and just the right volume to compliment the dinner instead of competing with it. Both are classy and good. A great menu and fun atmosphere. The lounge singer is awesome and such good service! We have taken friends and family there quite often and in every case, they are leave highly impressed. 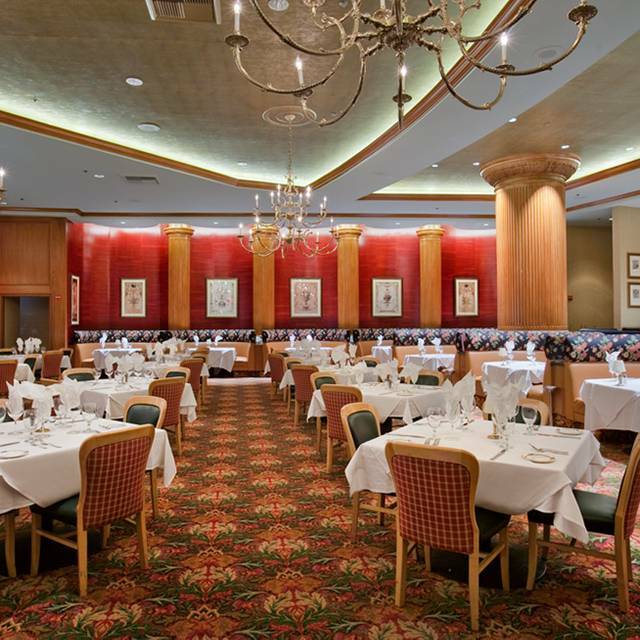 Whenever they return to Las Vegas, they have all insisted that we include a visit to Salvatore’s. The food is always well prepared and the service is excellent. This case was no different. Mehhhh. Tasted like a TV dinner. The service was ok. Took forever to find someone to get a knife. It wasn’t horrible, but I prefer a higher quality of food. 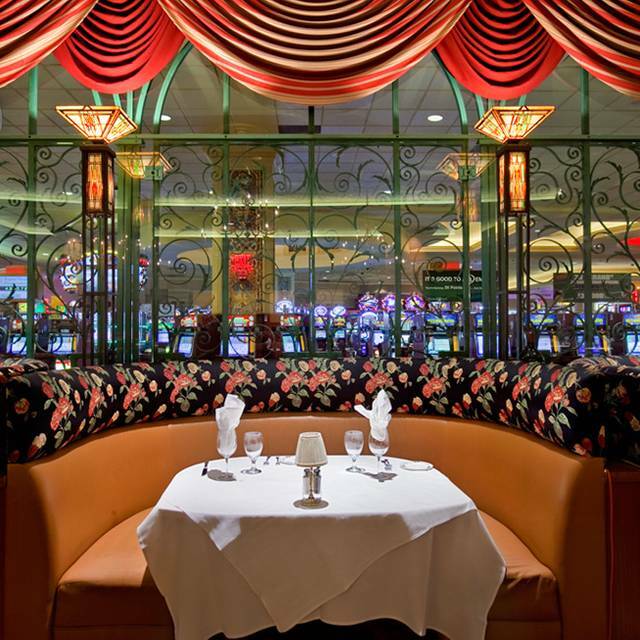 The interior of the restaurant was your quintessential casino restaurant. This very much has the crowd of a senior citizen. The waiter kept giving us awkward stares-maybe he himself was wondering how we ended up here. At any rate, their customer base is senior. Service is always slow and drinks take forever, but the food is good that's why we go back. Reservation was for 7 pm-We were seated promptly and the service was excellent! The food was superb and the atmosphere was perfect! The server was very polite and attentive. This was our second time eating at the restaurant and we were not disappointed at all. The the variety of food and drinks was great. The food was cooked to order and very delicious. Excellent food. Great piano bar. Great atmosphere and very good food. Especially nice for quiet conversation and great background entertainment. What a fun and nice little italian place, there was a great lounge singer and the atmosphere was so happy. The food was delicious and service was excellent, our waiter was very attentive and on top of every request. Everything was perfect. The food, the wine , the service and the ambience. made reservation only to be told they did not have any tables available. When I asked what was the purpose of the reservation, the man at the desk said they had alot of walk-ins. When I asked how this could be he seated my party next to four vacant tables. Good way to lose customers. The meal was excellent and the waiter was wonderful and very professional. great original Italian cuisine. Lamb chops were amazing. Lobster bisque was to die for. The appetizer meatball was amazing. The pasta was cooked correctly. The sauce was delicious, the veal 4 ways was a huge disappointment. Lasagna was a healthy portion, and Chicken Marsala was the gem of the 6 entrees. We've been to Salvatore's many many time. This time we had a party of 8. Three of us did not get our dinners due to waiter putting in wrong order. We ate in shifts. The 3 of us had to wait for our dinners to be cooked. Two of us were offered free desserts (Oh Goody!!!). The waiter tried to make up for his mistake, but since we were a party of 8 it didn't go over well. Last time any of us will be bask. We are always very happy with all our dinners at Salvatores . The food is consistantly good and service is always a pleasure. There is a good variety of food for whatever mood we are in. Food was fantastic! Service was great. My only issue was the dress code. It is labeled as 'Fine Dining' and I even called to inquire and they advised me it is 'Dressy Casual'. However, when we arrived there were numerous diners in denim, sports jerseys, and one adult Male was wearing a baseball cap the whole time. The live pianist was wonderful and I will go back again for the food and entertainment.